Fall is here and the cooler weather is perfect for outdoor activities. Hiking in the hills of the beautiful San Gabriel Valley is a great place to start! But, hiking, isn’t just about spraying on some bug repellant, grabbing a water bottle and hitting the trails. 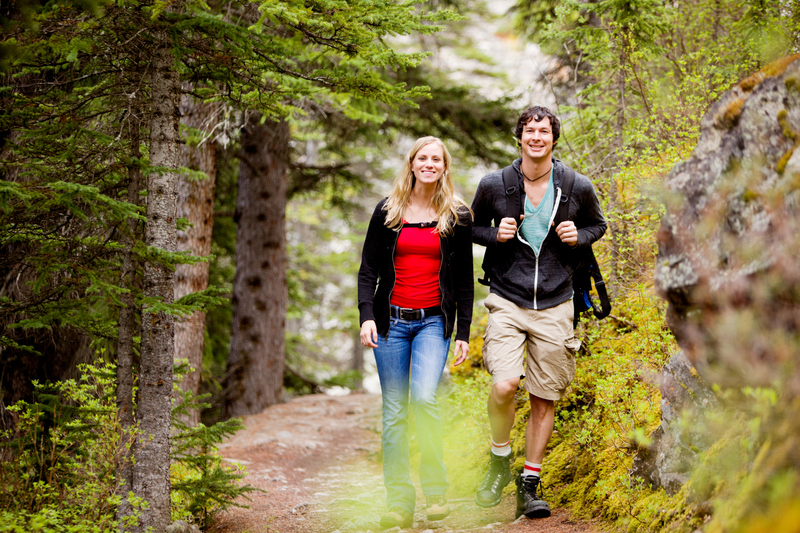 There are many factors to consider, especially if you are new to hiking. Keep in mind that you are sharing these majestic mountains with many species of wildlife, plants and you can meet with some challenging, steep terrain. Being properly prepare can be almost as challenging as the hike itself! Keeping hydrated and snacking on energy foods are the way to go when hiking. Bring at least a liter of water, and snack foods such as nuts, power bars or a sandwich. “But, there is no need to bring a lot of food—you won’t starve on a morning hike,” Nelson states. Jodai Saremi, DPM earned her doctorate in podiatry medicine from Temple University and is a personal trainer in the Los Angeles area. She notes that some of the most common injuries related to hiking occur on the toes, the ball of the foot and the heel. “On the downhill portion of a climb, the toes are jammed into the toebox of the boots or sneakers. The nail beds experience blunt trauma which causes bleeding under the nails and results in painful subungual hematomas,” Saremi notes. Saremi suggest socks should be thicker in order to whisk away moisture which can contribute to nagging blisters. For the first-timers, Nelson suggests O’Melveny Park in Granada Hills. “It’s an easy two-mile hike along a stream. A fire road leads East up a ridge, offering excellent views of the Valley out and back,” he says. For a more moderate hike, try Mt. Waterman, which is about 34 miles north of La Cañada off of State Route 2, prior to Buckhorn Campground. A National Forest parking pass is required. This five-mile loop takes you up around 1300′ in elevation with breathtaking views of the desert and San Gabriel wilderness creating a “true mountain experience,” according to Nelson. Hike up single-track trail and down fire road. There may be snow on this trail, Nelson cautions. The mountains of the San Gabriel Valley are filled with friendly wildlife such as varying species of birds, insects (though pesky) and amphibians. Even some of the larger inhabitants such as bears and mountain lions will keep to themselves if not bothered. According to the Mountain Lion Foundation, “Only 14 fatal attacks on humans have occurred in North America during the past 100 years.” If you encounter a bear, stay calm, and back away slowly and give the bear room to escape. Talk loud to make sure the bear is aware of your presence (bearsaver.com). Other things to consider is never hiking alone and always dispose of food waste in garbage cans. Open food wrappers can attract unwanted wildlife and hiking with a partner makes for a safer and fun journey! Enjoy! You might have heard of him. In a 20-year pro tennis career, which started when he was only 16, he was an international superstar earning 60 men’s singles titles including eight Grand Slam singles championships. Yep, you might have heard of him. He was once ranked number 1 in the world and is the only male to win all four Grand Slam tournaments, an Olympic gold medal, not to mention being a member of three winning Davis Cup teams in ’90, ’92 and ’95. 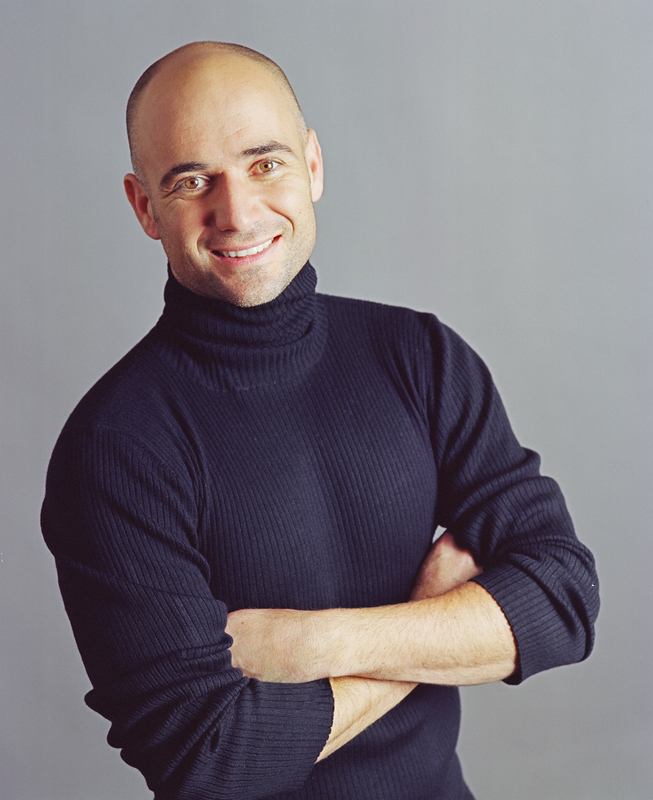 His name is Andre Agassi. Ring a bell? Though this elite athlete may have retired from the game, he is still quite an active elite individual. The Andre Agassi Foundation for Education is thriving—raising over $177 million dollars (since its inception in 1994) to help provide education to less fortunate and abused children, and his Boys and Girls Club helps over 2,000 children yearly. In 2001, the Foundation opened the AndreAgassiCollegePreparatoryAcademy in his hometown of Las Vegas. Its first senior class graduated in 2009 with a 100% college acceptance rate. Agassi writes on his blog, “I’ve watched many of these children grow through the years, from shy youngsters adjusting to their new school environment, to confident young adults ready to graduate.” In June 2011, as part of an effort to expand his impact on education, Agassi partnered with Canyon Capitol Reality Advisors to create the Canyon-Agassi Charter School Facilities Fund to promote the success and growth of best-in-class charter schools. The first project was the transformation of an empty warehouse in Philadelphia to a 23-classroom K–4 elementary school. 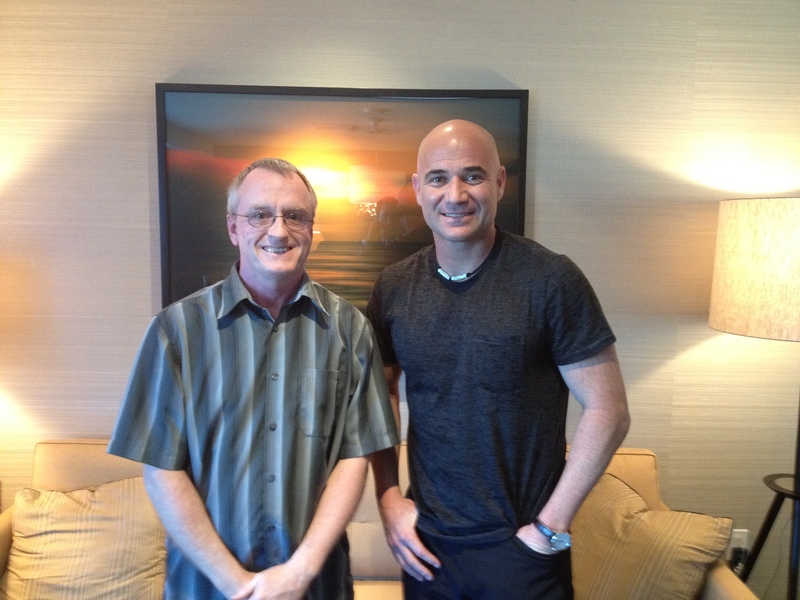 Needless to say, Mr. Agassi keeps himself busy. Married to Stefanie Graf (who won 22 Grand Slam singles titles herself), Agassi is still a model of fitness at 42, looking as though he is ready to play with the best of them. But you won’t find him playing pro. “I do play every now and again. I do a lot for charity and exhibitions to raise awareness for sources I believe in. I enjoy it, he says. He admits he has been up for a challenge against Stefanie too. “She treats it as exercise. We have a rule, she wants me to make her run so she can work out, and I make her hit the ball back to me, so it’s a perfect deal,” Agassi laughs. 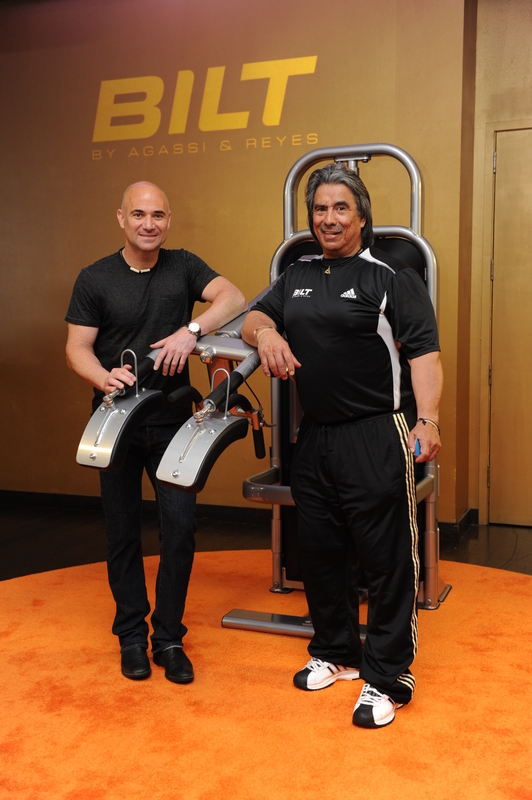 Reyes brought that discipline and training to make Agassi’s muscles stronger. And once he got out there, Reyes helped him feel secure in the fact that he might get tired, but encouraged him to look across the net “because the other guy is more tired,” Agassi says. Agassi prides himself on his injury-free career, and hopes he can pass on some of his secrets to help other aspiring athletes become as successful. “There are a lot of things to worry about when dealing with muscle. A lot of little things called ligaments and tendons and joints, and you have to make sure you’re not exposing yourself in these areas because your quads can do a lot of things that your knees can’t. And so you have to learn how to do it the right way. I can honestly say I’ve never been injured in the gym with Gil. We’ve removed that risk from the equation,” he says. You can be sure that though you may not see Andre Agassi on the court as much, slamming the competition away, you will see him out there helping kids and setting a fine example as a humanitarian, hopefully inspiring others to follow his lead. 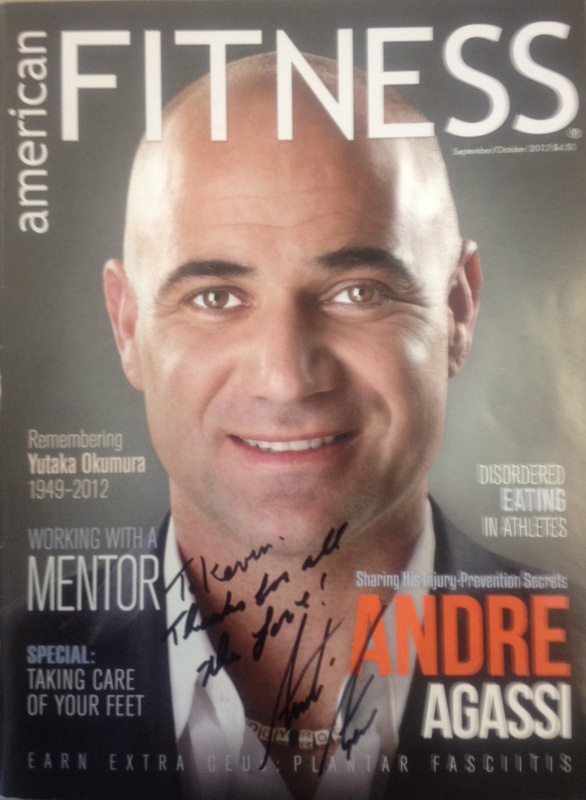 My Andre Agassi autographed copy of American Fitness! BILT Flat Bench: Retractable arms uniquely and safely lower the weighted bar over the user’s “sweet spot” across the chest and retract upon liftoff.This design eliminates the dangerous stress on the shoulders, which is imposed when the user reaches up and back to lift the weighted bar on a traditional bench press machine. Change of Direction Machine: The ergo-efficiency of the moving parts allows for a safe squat movement as well as an intense yet safe lateral exercise series, including side shuffles, lunges and single leg squats. The construction provides for a safe, direct line of movement, which protects the spine and back muscles and conforms to the natural angles of the body. BILT Abdominal Machine: This allows the user to safely and effectively isolate the abdominal muscles through a full range sit-up motion. Designed to assist without risk of injury to the user’s back, the position of stability and support promotes sound technique for isolation of individual abdominal muscles. For more info on BILT By Agassi & Reyes, visit http://www.biltbyagassiandreyes.com. When it comes to legends, you may mention names such as Clint Eastwood or Katherine Hepburn when it comes to movie stars, or Babe Ruth or Muhammad Ali when it comes to sports figures. There are, indeed, many other great actors and athletes that could be mentioned. But when it comes to the fitness industry, what defines greatness? Who is truly a legend? 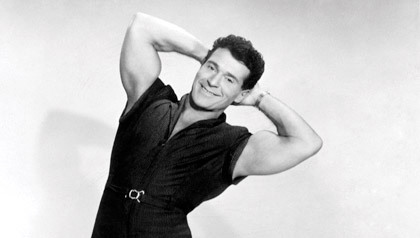 For many, Jack LaLanne is that legend. Jack died on January 23rd at the age of 96, and American Fitness would like to pay homage to him and his amazing life. Referred to as “The Godfather of Fitness,” LaLanne was born in San Francisco in 1914. As a child, he had struggles with junk food. At 15, he heard a speech from wellness pioneer, Paul Bragg. It changed his life. LaLanne focused his energy on proper diet and exercise from that point on. He studied Henry Gray’s Anatomy of the Human Body, which enhanced his focus to include bodybuilding, chiropractic medicine and weight lifting. He truly pioneered these fields in the early ’30s. LaLanne opened his first health spa in 1936 and designed the world’s first leg extension machines, pulley machines using cables and weight selectors—now a standard in the fitness industry. LaLanne was the first to suggest that women can work out with weights. When it came to nutrition, LaLanne was once quoted as saying, “If man made it, don’t eat it,” and “if it tastes good, spit it out.” He only ate two meals a day consisting of raw vegetables, egg whites and fish. “We are warriors in the battle against a sedentary lifestyle,” says Roy “Les” Mills in his instructors’ creed for the Les Mills gyms based in Auckland, New Zealand. Mills’ son, Phillip, has expanded the family business into a thriving company bringing popular workout programs to more than 11,000 facilities in 73 countries. Out of this business, he and his wife, Jackie, a general medical practitioner and obstetrician, gained unique insight into the obesity epidemic threatening the world. 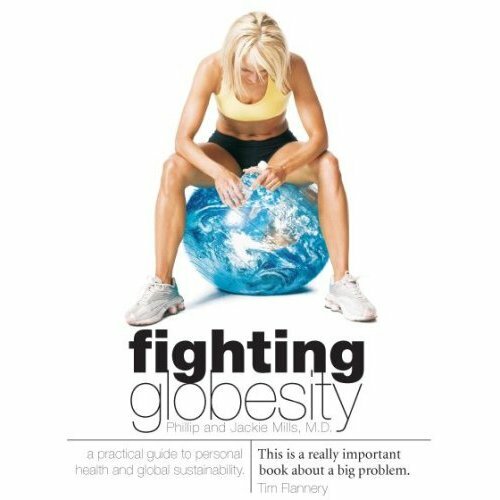 Their book, Fighting Globesity: A Practical Guide to Personal Health and Global Sustainability (Random House, 2007) describes current relationships between personal fitness, national health systems and global sustainability. The World Health Organization (WHO) first used the term globesity during a summit in 2004 to provide awareness of the obesity pandemic. Phillip and Jackie Mills encourage individuals to take a look at their own personal health as a first step in taking action on these issues. The book is comprised of three parts. Part one, “Energy Out,” focuses on setting personal goals to “become someone,” like a professional tennis player. Even if you don’t reach this goal, you may be surprised by how far you actually go. Part one also discusses preparing yourself mentally for a new workout regimen; learning the importance of being part of a team; and choosing a personal trainer. In a more concrete connection between the energy you personally expend and the environment you live in, the Mills suggest that riding a bike to work can reduce carbon dioxide emissions. These man-made toxic emissions are a key contributor to global warming, the book claims. Also listed in this section are 23 reasons why you should exercise, such as, reducing the chances of getting certain types of cancer, type II diabetes and heart disease. Thus, regular exercise may become a long-term solution to high healthcare costs for the infirm elderly, who account for 75 percent of healthcare costs and are typically less active, with obesity-related illnesses. Part two, “Energy In,” is dedicated to making wiser choices about what we eat and drink. It emphasizes deflating the “supersize” mentality and concentrating on eating smaller portions, healthier snacks, and cutting out sugar-filled sodas and juice drinks. They stress proper vitamin intake from fish, fruits, vegetables and legumes, and cutting down on saturated and trans fats. It is also noted that since organic foods are not doused with chemicals and pesticides, in this way, what you choose to eat impacts the environment and your health. Part two also encourages readers to eat less meat, citing that livestock are fed growth hormones and are raised in such overcrowded conditions that they are subject to illnesses that are often treated with antibiotics. Meat consumption, which has increased 500 percent since 1950, impacts the environment in many ways: sections of the rainforest have been replaced by farmland (to grow soyfeed) and cattle produce high methane emissions (a greenhouse gas). Part 3 of Fighting Globesity, “Global Energy,” presents alternatives to the current types of energy consumption. The book tells a brief history of our energy choices, from the use of the first water wheels through nuclear energy, and it invites us to explore alternative ways of producing energy, such as wind and solar power that can save our future on Earth. In the meantime, conservation is encouraged: turn off equipment at the end of the workday, switch to a green energy supplier, use compact florescent light bulbs and insulate homes to lower heating costs. Fighting Globesity may not have everyone’s vote. There are scientists who assert that global warming is a normal cycle on Earth and some won’t agree with the authors’ holistic way of treating ailments. But there is no denying that many of the points made in this groundbreaking book are authentic, and the obesity epidemic is undeniable.